Well, last week I left a scheduled post as Sam took me away for my birthday! I didn’t know where I was going then and I didn’t even twig on the drive there (I have no sense of direction). 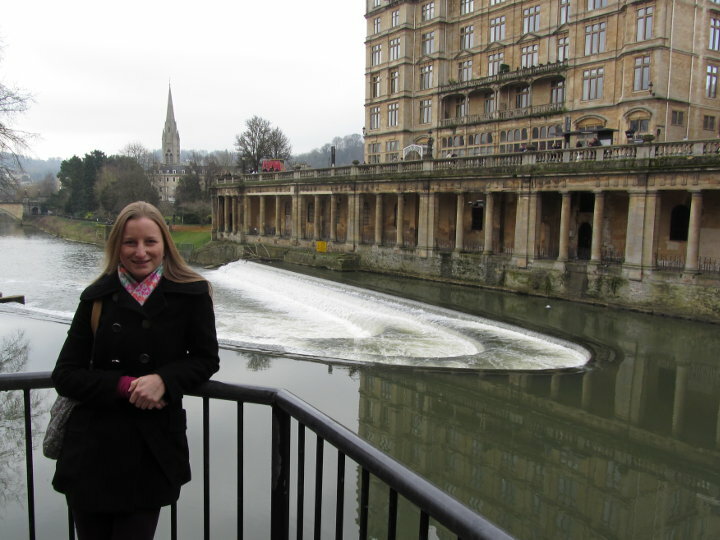 He surprised me with a night away in Bath, with a trip to the Roman Baths and a relaxing spa day with a full body massage! It was a really lovely weekend and it was very hard to return to work on Tuesday! I’ve been working on a couple of commissions this week so haven’t really got a lot which I can share today! Last night, though, I had a lovely quiet night in with a bottle of wine, freshly made cupcakes and my sketchbook! 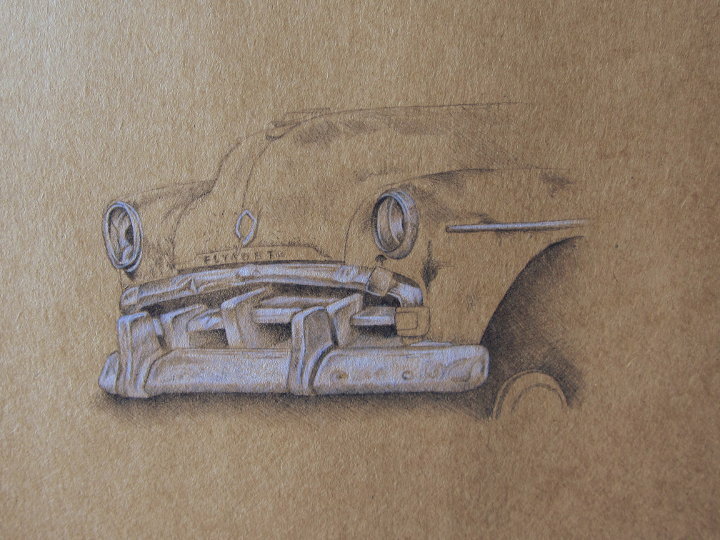 I stuck a film on TV and snuggled up on the sofa to draw this rusty car from a reference photo I found on morgueFile (a very useful website for royalty free images). It’s far from perfect, but it was fun to do. I added a little white to make the shiny bumpers gleam. 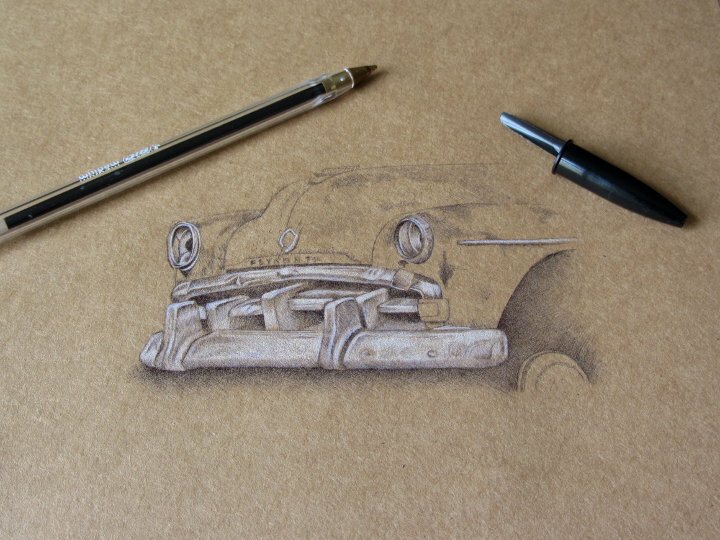 I love drawing on coloured paper as it brings out highlights and gives the piece more depth. You can use the colour beneath as part of the picture. 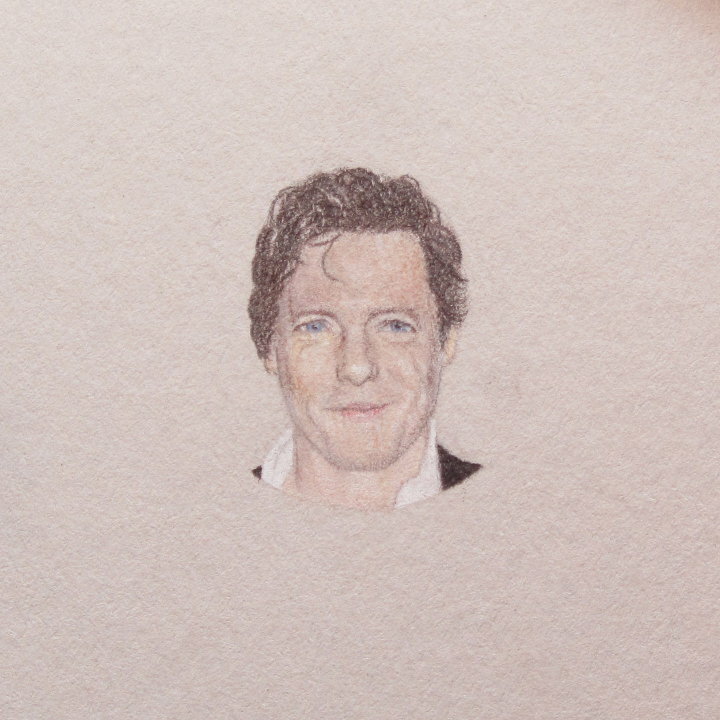 Hugh Grant was also on my drawing board this week (not literally, unfortunately for me). 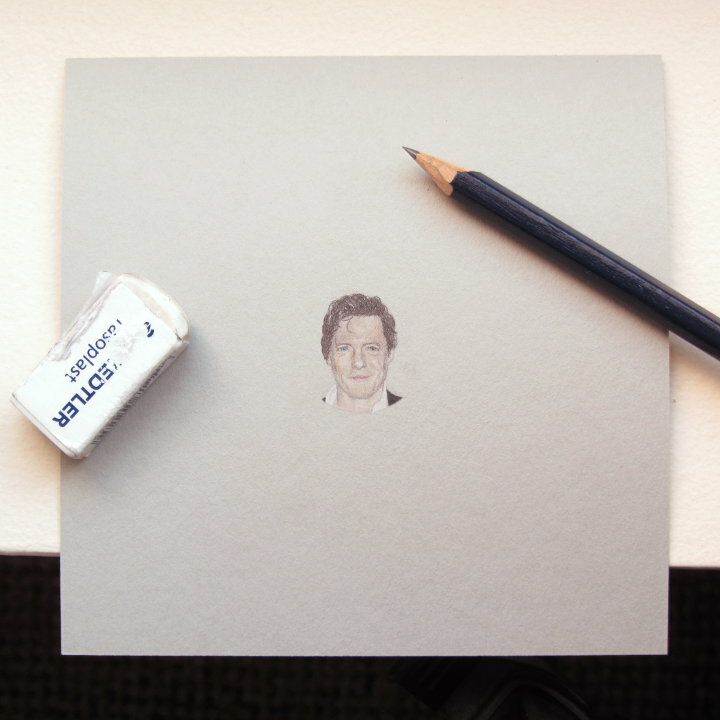 He’s the latest miniature portrait in my 52 faces challenge! I’m really pleased with this one, I think the coloured pencil practice has been paying off! I made a video of me drawing, which was a bit of a faff because the SD card on my camera kept filling up every ten minutes! Also, my head kept bobbing into the shot and I didn’t realise how much I move around when drawing, it was hard to keep the paper still. Anyway, I stuck all the bits of video together and sped it up and I don’t think it’s too bad for a first attempt at a speed drawing video! Click the little cog in the corner and switch the quality to HD for best viewing. What a lovely weekend! 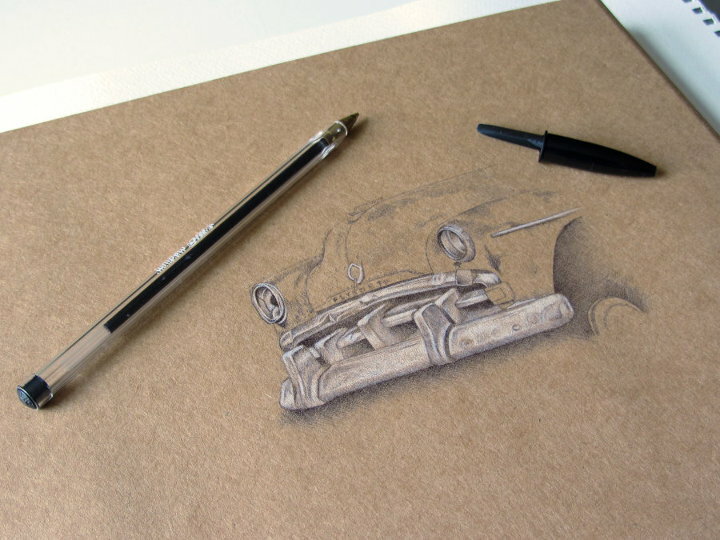 The car drawing is beautiful and the face looks great! What a brilliant surprise… it sounds like the perfect birthday treat. I’ve not used coloured paper much but your work is inspiring. Thank you Karen, it was nice to do something a little different! Thanks for the suggestion Alexandra! Great choice if I may say!